PING G demo irons now in! PING's latest iron, the G, which is officially released on February, 11 is now available to try in your Pro Shop. 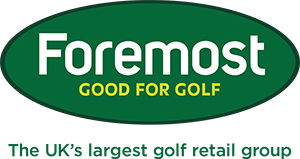 Demo clubs are available in mens/ladies, right or left handed. Please feel free to pop into the pro shop and be one of the first people in the country to try PING's latest technology. There were some excellent winning scores in last week's competitions. Tom Huggins kept up his amazing run of form by winning the Saturday Stableford with an excellent score of 36 points. Tom's handicap has now been cut to 9.8! Tessa Summers scored 36 points to win Division 1 in the ladies black cube competition on Tuesday and Lady Captain Pam Dudgeon won Division 2 with a solid score of 31 points. Well done to you all.